Bees swarm. A president is assassinated. A young mother is electrocuted in her own basement. A space shuttle vanishes. One couple is struck by sudden wealth, another by lightning. An older woman obsesses over a bag boy at the local supermarket. People everywhere watch the sky for signs of intelligent life on Mars and covert Russian space missions. The television era begins, and the Vietnam War ends. 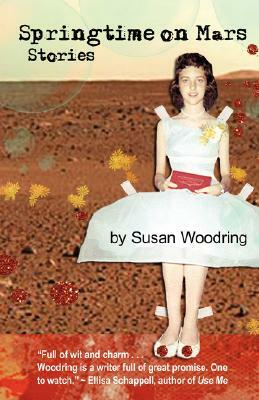 Ranging from the 1950' to present time, the stories of Springtime on Mars feature characters who grapple with the human extremes of despair and hope, holding faith in both God and science, and in the love and courage of those around them.